At The Zengel Group, we know that your home is your sanctuary. It’s where life’s most meaningful events happen—where you begin each day and where you settle and reset each night. And creating that space for you and your family is our top priority. Unlike home improvement contractors, The Zengel Group collaborates with you to achieve your vision—listening, understanding your needs and bringing the full spectrum of building and remodeling experience to each project. Jim Zengel’s experience in construction begins at age 12, working on job sites for his grandfather’s business. As a teenager, pitching in to provide manual labor gradually became a labor of love. Jim acquired experience in all aspects of homebuilding—carpentry, masonry, concrete, plumbing, electric, painting—and applied his skills in and around the Dayton community.Jim officially joined the Zengel family business full-time in 1979, honing his expertise in a variety of roles within the company. As he assumed increasing responsibility at Zengel Construction, Jim eventually became involved in local, state and national Home Building Associations, focusing heavily on building codes and standards. Since 1998, he has served as a National Director of the National Association of Home Builders (NAHB). In 2005, he was appointed by Ohio’s Governor Taft to the Residential Code Advisory Committee (RCAC), serving as chairman for the next five years. Jim has also been recognized by his peers in the building and remodeling industry as a recipient of the highest awards from the Home Builders association of Dayton and the Ohio Home Builders Association. We create our environment, and then it creates us. In today's hyper-fast technological world what is missing are places that support our emotional needs for connection, for balance, for being. Our relationship to the environment, to each other, and connection to our own true self can all be supported by our built environment. We all need support. Our homes can support us if they are designed to allow rather the constrain the activities we need. This in turn, will enable us to truly support others. By deeply listening and then identifying the patterns of your home and life, together we can discover what is missing and what needs modifying. I can then help you create your "dream home." Now is the time to get started. Call me today at (937) 421-1486 or click the "Contact Me" button for a free consultation and we can begin the process of upgrading your living environment! We look forward to working with you! *Authorized Dura Supreme Cabinetry Dealer* Greater Dayton Building & Remodeling has been in business for over 30 years serving homeowners in Dayton and the surrounding areas. Recognized as the region’s largest premiere building and home remodeling contractor, GDBR has more than 15,000 unique projects to it’s credit. We’ve set the benchmark in Dayton home improvements with award winning designs, quality craftsmanship, and our company wide commitment to your complete satisfaction. Our vision is to continuously evolve our organization for the betterment of our customers. Greater Dayton Building & Remodeling has become the premier remodeling firm in the Miami Valley by providing exceptional craftsmanship, design, and value to our diverse customer base. We continue to improve every day by relentlessly pursuing perfection in each aspect of our operation. We are a Dura Supreme Cabinetry certified dealer and are proud to carry this product. We are pleased to introduce our firm to you. 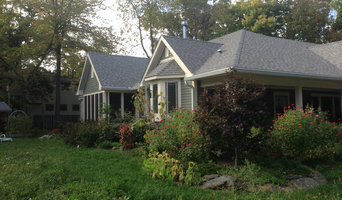 Atelier Design, LLC is an architectural firm established in 1976, in response to architectural needs. The firm has grown and developed a reputation as a reliable and creative force in the region. The objective of Atelier Design, LLC is the creation of economic, functional, and imaginative designs. We are active in new construction, conversion or renovation of existing structures, space planning, and interior design work. This is a brief overview of our work and represents a small portion of our experience and completed projects. We welcome the opportunity to make a personal presentation to you. Our repeat clients will attest to our ability to satisfy the demands of challenging projects. We welcome the opportunity to define our working relationship, fees, schedules and structure options. For more than 20 years Knapke has been remodeling kitchens, baths and any interior room of the house! We've evolved from a small independent cabinet maker to a progressive, cutting-edge design, remodeling and installation service for all your kitchen, bathroom and remodeling. We manufacture 100% green kitchens, baths and specialty cabinetry for any room in your home. We encourage you to contact us to schedule an individual and informal consultation with one of our professional in-house designers. A designer will sit down with you to discuss your individual remodeling needs to turn your vision into a reality using talent, creativity and computer design software. Our computer generated design network allows both you and Knapke Cabinets' design consultant to visualize all elements of the project, from cabinet styles and finishes thru interior accessorizing to moldings and trim. Every last detail is considered and subsequently reproduced on high resolution floor plans with optional 3-dimensional perspectives, reflecting the overall style and balance of the final design. Whatever your vision may be, our designers utilize upscale custom cabinetry and semi-custom cabinetry styles to create workable kitchens and bathrooms you're going to love. 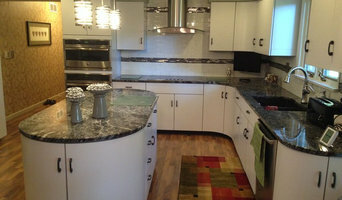 A comprehensive installation and remodeling service augments the company’s operations and services that make Knapke Cabinets virtually unique in the region as the “one stop shop” for all kitchen and bathroom projects. After several years working in the field of high-end residential design, we started WiFIVE architects in 2009 based on our belief that every project, regardless of size and budget, benefits from the design process. We tailor our services to the specific requirements of each project, and work to build a team that can bring any idea to fruition. It is our mission to offer superior architectural services to our clients and provide support to all parties involved in the design and construction of each project. Our clients enjoy our laid-back approach, personal attention, and responsiveness. It is our pleasure to help each client realize their vision through the services we offer. Our process allows us to dream with you while seeking creative solutions and technical details to make your project come to life. Our creativity and responsibility is evident throughout our process - from our initial design meeting with trace paper strewn about and full of countless ideas, to working with clients, consultants, suppliers, and contractors to hone the design and refine the budget, completing the technical drawings for permitting and construction, all the way through completion of construction and the last punch list items. In addition, we pride ourselves on designing inventive ways to seamlessly (and in most cases invisibly) incorporate universal design elements into our projects. We strive to design beautiful spaces, based not only on your current taste or lifestyle, but which are easily adaptable for the future. Whether you're looking to upgrade your home's accessibility due to injury or illness, or just want to be able to live independently for as long as possible, we're able to maximize your home's ability to meet the day-to-day needs of your lifestyle, both now and in the future.